Carole, thanks for the feature in World Landscape Lovers group. Jasna, thanks for the feature in Global Flowers group. Really appreciate the feature in Beauty Captured group. Thank you, Elaine and Charles! 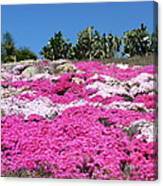 Top Finisher in Photograph a Landscape with Floral Foreground contest. Thanks for the votes! Thanks, Phong! 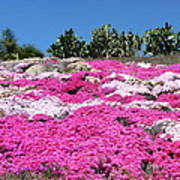 It certainly was a lot of pink!! 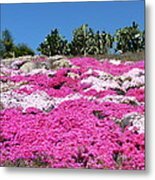 A profusion of pink and magenta flowers bloom on a hillside in San Diego under a cloudless blue sky. 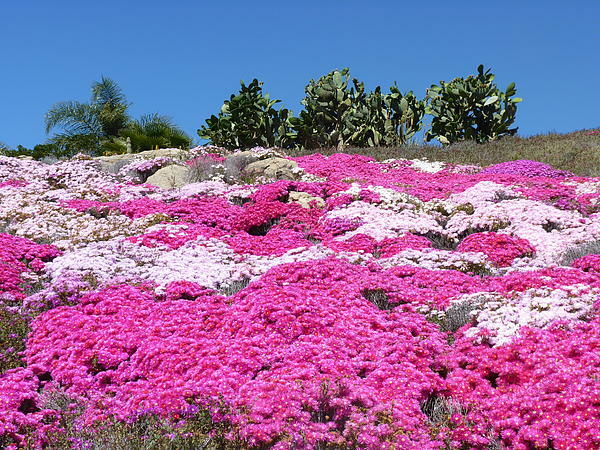 Ice plants are succulents which bloom as wildflowers throughout southern California.